It has removed the territorial disputes that quite often used to arise, over whether a given issue is within the province of the judge, or that of the jury. In addition, this reform has all but eliminated the practice of arguing the same point to different threshold standards on different occasions. It is now possible for many more cases to reach a final resolution more economically by early judicial decisions on key issues of fact, or mixed issues of law and fact. • The complexity of the law in relation to a jury trial. The level of damages in defamation cases remains a concern to the media sector and to stakeholders. 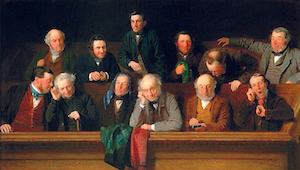 A trial by jury increases legal costs and lengthens the time of each case. 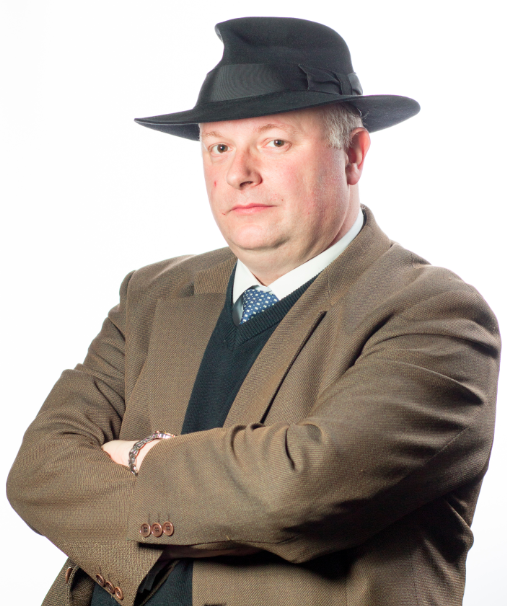 That submission recommended that the lead in England and Wales be followed, as did the Department of Journalism (pdf) in the School of Media, Dublin Institute of Technology, the Business Journalists’ Association(pdf), Google (pdf), MGN (pdf), NewsBrands Ireland (pdf), and Ronan Daly Jermyn (pdf). The submission (pdf) from Independent News and Media pointed out that jury trial in defamation cases “is also out of line with other civil law cases where juries are not used”, and recommended their abolition, without any reference to the power of the court to decide otherwise. 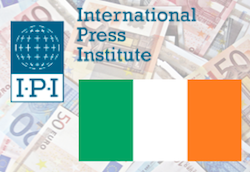 Local Ireland (the promotional brand of the Regional Newspapers and Printers Association of Ireland) made a similar submission (pdf), as did Kieran Fitzpatrick (pdf), and the Public Relations Institute of Ireland (pdf). The Irish Times recommended (pdf) the abolition of juries in defamation cases, if not generally, then at a minimum in the determination of damages, as did Michael Williams (pdf) and the Press Council (pdf). On the other hand, Johnsons Solicitors (pdf) firmly recommended that the presumption in favour of a jury trial should be retained in High Court cases; and other solicitors who responded to the Law Society’s call for comments also recommended (pdf) that juries be retained, as they are best placed to assess impact and also act as a deterrent to the more extreme excesses of the media. 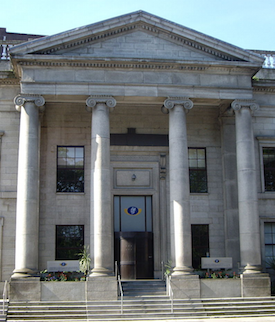 If the jury is to be retained, then the Bar Council (pdf), the Joint Oireachtas Committee on Justice and Equality (pdf), McCann Fitzgerald (pdf), the National Union of Journalists (pdf), RTE (pdf), and William Fry (pdf), all recommended that, having regard to the decision of the Court of Appeal in Higgins v Irish Aviation Authority  IECA 322 (04 November 2016), the jury should not be included in the offer of amends procedure in sections 22 and 23 of the 2009 Act (also here and here). So, many views have been submitted to the Department, with the usual suspects making the usual arguments: media organisations and their lawyers arguing against juries, with plaintiffs’ lawyers arguing in favour. What’s most striking to me, though, is that the more disinterested observers also argue for the abolition of juries in defamation cases. And their views are reinforced by Warby J’s comments. On balance, therefore, I think that it’s time to abolish juries in defamation cases; (here’s how); and I hope that the current review will do just that. Fred Muwema is a prominent lawyer in Uganda, who claimed that various Facebook pages in the name of Tom Voltaire Okwalinga, or TVO, defamed him. In Muwema v Facebook Ireland Ltd [(No 1)]  IEHC 519 (23 August 2016), Binchy J declined to grant injunctions requiring Facebook either to remove the posts from the account or to prevent the material in them from being re-posted, and I considered these holdings in one of my earlier posts on the case (also here). However, Binchy J did grant an order requiring Facebook to identify TVO, and I considered this aspect of the case in another of my earlier posts on the case (also here). This was not a difficult issue, as the defendant had consented to the order. However, before the order could be perfected, the defendant sought the leave of the Court to introduce new evidence with a view to opposing the making of the order. In Muwema v Facebook Ireland Ltd (No 2)  IEHC 69 (08 February 2017), Binchy J allowed the new evidence to be introduced; and, having considered it, he declined to make the order after all. It is to that aspect of the case that this post is directed. Jack Gilbert, Lead Litigation Counsel for Facebook, explained that Facebook generally takes a neutral position on applications to identify people behind pages or profiles on their network. However, he said that, when his office was informed of Binchy J’s proposed order, he was informed by his colleagues that TVO is a political activist who has been marked for arrest by the Ugandan Government. He also said that the position was complicated by the fact that the URLs provided by the plaintiff were for a fake or copycat profile of the more established TVO profile. He said that he was informed by his colleague, Ebele Okobi, Facebook’s head of public policy for Africa, that if the identities of the people behind the real and fake TVO profiles (if they are in fact different) were revealed, they may be at risk of arrest and subsequent persecution, and their lives, bodily integrity and liberty would be placed in jeopardy. Moreover, the US Department of State Human Rights Report for Uganda cites examples to unlawful killings and torture, and other abuses of detainees and suspects. premature to assess whether the discovery sought is genuinely necessary for the proper conduct of this litigation, at least until the scope and extent of the section 26 defence is clarified and particulars of the facts proposed to be relied upon by the defendant in support of that defence are duly ascertained, whether by further pleading or by particulars. ( IECA 327 (09 November 2016)  (Hogan J) (emphasis added)). Although from the context, it is clear that Hogan J meant that the scope and extent of the section 26 defence that needed to clarified were the scope and extent of the defence as pleaded on the facts, such that clarification could be forthcoming following delivery of particulars, in my view the lack of clarity as to the scope and extent of the defence must have been contributed to in no small part by the complexity and opacity of the terms of section 26 itself. A simpler, clear, statutory statement of the defence would have made for less ambiguity in what the defendant was relying upon and what the plaintiff could seek by way of discovery. There are so many hurdles in section 26 that it was not clear what the defendant was relying on. This raises very serious questions about the workability of the defence. By way of contrast, in England and Wales, section 4 of the Defamation Act 2013 introduced a similar defence of publication on matter of public interest; it is in much simpler terms; and it was successfully invoked for the first time in Economou v de Freitas  EWHC 1853 (QB) (27 July 2016). In this post, I want to discuss that case, and to present that defence as a template for the reform of the defence of fair and reasonable publication in the 2009 Act. The Tánaiste and Minister for Justice and Equality has announced a review of the operation of the Defamation Act 2009 (also here), and is now inviting contributions and submissions by 31 December 2016. This is excellent news. – to publish the outcomes of the review, with recommendations on appropriate follow-up measures. Interestingly, the review excludes the blasphemy provisions of the Act (sections 36 and 37), because the issue will be the subject of a constitutional referendum, as provided in the Programme for a Partnership Government. Moreover, the review will take into account any relevant recommendations of the recent Report of the Law Reform Commission on Harmful Communications and Digital Safety. … long-overdue review of Defamation Act, amid continuing concern the size of libel awards in Ireland are having a chilling effect on the media’s role as a watchdog for the public. This is not the first time that an INM title has argued that the 2009 Act has brought about only limited changes. NewsBrands regularly make a similar point. Both arguments are bolstered by reference to the €1,250,000 damages award in Leech v Independent Newspapers  IESC 79 (19 December 2014). However, although libel damages are indeed still high, this focus is misconceived. That case was decided on the basis of the law as it applied before the Defamation Act 2009, which introduced a whole range of reforms to meet the concerns expressed by INM and NewsBrands. Their arguments would be stronger if they focussed on the reality of the application of the Act and not on an objectionable outcome produced by the unreformed pre-Act common law. 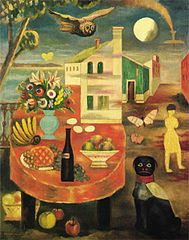 The review is indeed long-overdue, and much to be welcomed. But arguments against the pre-Act law by those who are advocating for further reform do their case no favours. Instead, I hope that the submissions make strong arguments in favour of coherent and effective reform of our libel laws. 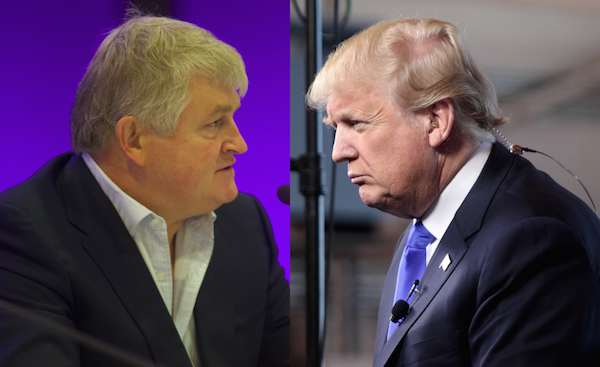 Denis O’Brien (above left) and Donald Trump (above right) are classic crybullies: they cry in public when criticised, whilst bullying others – claiming to be victims, whilst intimating their critics. 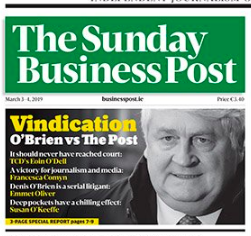 So, Denis O’Brien (among the 21 Irish lawsuits initiated by him since 2010) seeks to sue the Oireachtas for a TD’s speech about some of his business dealings, to to redact RTÉ’s publication of the same material, and to sue a PR firm for conspiracy and defamation, all the while claiming never to have experienced the level of abuse, venom and hatred resulting from taking a stand to protect privacy in relation to his financial affairs. Donald Trump is notorious for his cheap personal attacks, on the parents of a Muslim American soldier killed by a suicide bomber in Iraq, on a former Miss Universe, and a judge who is hearing a fraud case against his defunct university, all the while decrying media criticism and threatening to change the law to weaken the First Amendment and muzzle the press. The sanctimonious hypocricy at the heart of this strategy is egregious. The First Amendment, against which Trump inveighs when it is used against him, is the very thing on which Trump relies when he harangues everybody else. The First Amendment standard which allows him to criticise Hilary Clinton (see New York Times v Sullivan 376 US 254 (1964)) is the same standard which allows him to criticise judges (Garrison v Louisiana 379 US 64 (1964)) and it is the same standard that allows the New York Times to criticise his tax affairs. If he changes the Sullivan standard so that the New York Times can’t do that, then he changes the standard that protects his own incoherent fulminations. Of course, Trump won’t be able to change the Sullivan standard; it is too well entrenched in the jurisprudence of the US Supreme Court for that (see Hustler Magazine v Falwell 485 US 46 (1988) 52 (Rhenquist CJ); but cf the views of the late Scalia J). So, instead, Trump is working in other ways to curb the media and undermine the First Amendment – and if this sabotages Sullivan and leads to its reversal, so much the better: “when the New York Times or the Washington Post writes a hit piece, we can sue them”. But, even without a change in the law, his celebrity and alleged personal resources mean that he can wage war against media organizations he doesn’t like. For example, the day after Gawker.com conceded defeat in the face of billionaire Peter Thiel’s determined (and long-secret) war against it, Trump’s wife has taken to the fight, using Thiel’s law firm to over allegations about her immigration status when she first went to the US. This is just straightforward bullying by Trump, Theil and their ilk, using their fortunes to intimidate the media. Meanwhile, Trump’s crying also continues. In the sort of personal attack that he would sue over, Trump’s latest assault is on Irish businessman Denis O’Brien, and his association with the Clintons. Trump makes the kind of allegations that have in the past seen O’Brien reach for his lawyers. O’Brien is keeping his counsel at the moment, but if he remains true to form and responds with a lawsuit, then where he launches it will have a large bearing on the outcome. If he sues in Ireland, his damages will be limited; and, however much they might be, they would not in any event be recoverable in the US. If he sues in the US, Trump will smugly wrap himself in the US flag and the First Amendment; but it would be interesting to see Trump’s own bullying tactics used against him; and he may find that he has bitten off more than he can chew on this one. The whole episode neatly illustrates Trump’s foul-smelling hypocrisy and crybullying forked tongue – hiding behind the First Amendment to assail the Clintons via O’Brien, taking advantage of the media coverage his onslaught has generated, but yet threatening the media when he doesn’t like what they say, seeking to hold them to higher standards than he holds himself. He should take a deep breath and a long look in the mirror, thank his lucky stars for the US Constitution (even if he doesn’t know what it says), and leave the First Amendment alone. As for O’Brien, if he does sue Trump, at least this time he’ll be taking on someone his own size. But, otherwise, he too should take a deep breath and a long look in the mirror, thank his lucky stars for the Irish Constitution (even if he too doesn’t know what it says), and leave its free speech provisions alone. 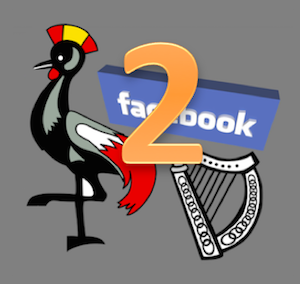 The decision of Binchy J in Muwema v Facebook Ireland Ltd  IEHC 519 (23 August 2016) demonstrates that, on the question of the liability of internet intermediaries for defamatory posts on their platforms, an important part of the answer is provided by application of the defence of innocent publication provided in section 27 of the Defamation Act 2009 (also here). Binchy J granted a Ugandan lawyer a Norwich Pharmacal order requiring Facebook to identify the holder of a pseudonymous account which, the lawyer alleged, contained posts that were defamatory of him. However, Binchy J declined to grant injunctions requiring Facebook either to remove allegedly defamatory posts from the account or to prevent the material in them from being re-posted, on the grounds that Facebook could rely on the defence of innocent publication in section 27 of the 2009 Act and on the hosting immunity conferred by Regulation 18 of the European Communities (Directive 2000/31/EC) Regulations 2003 (SI No 68 of 2003) (transposing Article 14 of the e-Commerce Directive Directive 2000/31/EC into Irish law).